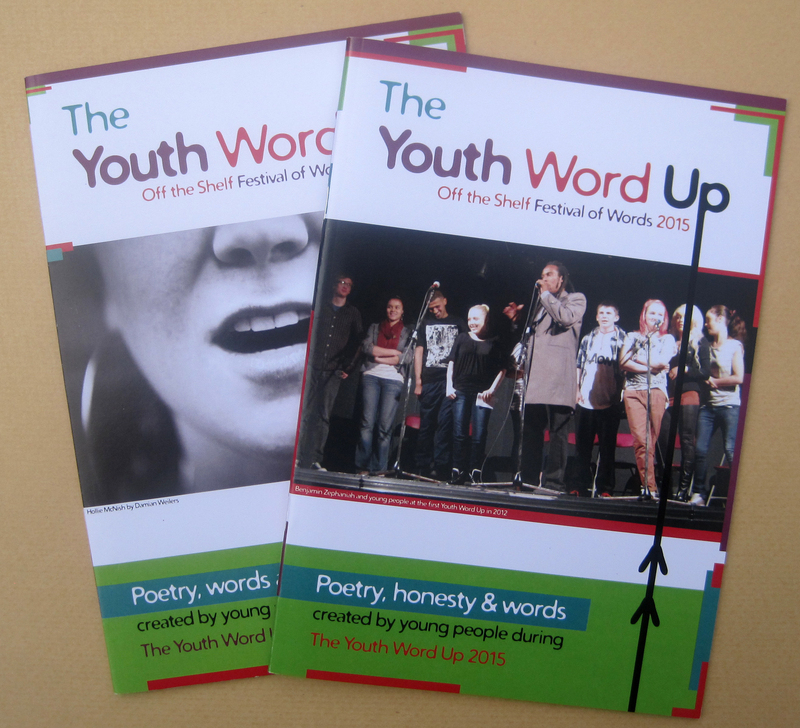 As part of his guest curation of Off the Shelf in 2012, poet, novelist and activist, Benjamin Zephaniah, created The Youth Word Up – a project designed to give young people a chance to have their voices heard alongside an established poet. Now in its sixth year, the Youth Word Up is an ongoing success with young people writing poetry and performing it alongside top poets at yearly events during the Festival. In 2013, a Youth Word Up, audio-visual installation of young people’s spoken poetry was showcased in Sheffield’s Winter Gardens. And since 2014 a booklet of work by young people has been produced each year. I have worked on the Youth Word up yearly for the last 5 years supporting young people via the Youth Offenders Service and Community Youth Teams to express themselves and their experiences in the spoken and written word. Every year I bring together a publication of the work and enthuse the young people I’ve worked with to performance/read their work with a high-profile performance poet at the Off the Shelf Festival of Words. 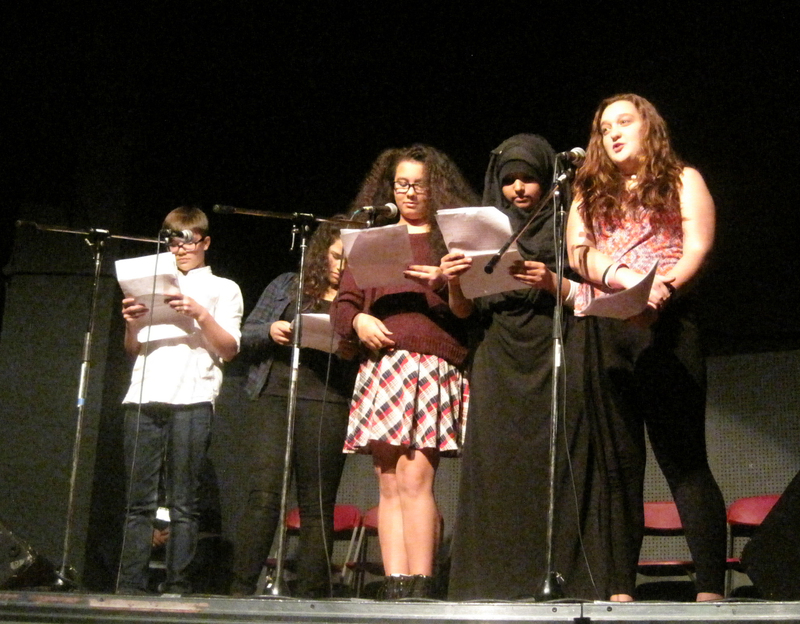 To date young people have performed alongside Benjamin Zephaniah, Hollie McNish, Mark Grist and Joelle Taylor. I also open the opportunity to perform out to other young people I have worked with who want a change to be supporting poets. The publications includes poetry by young people from across South Yorkshire. The experiences reflected in these poems speak of everything that can happen in young lives, from joy and good friendships, to sadness and heartache, family love and family struggles, good times and bad times. Here young people tell you who they are and how it is for them. They ask you not to judge, only to listen. It is made possible by Off the Shelf Festival of Words through Sheffield City Council, with support from: Sheffield Community Youth Teams, Sheffield Youth Justice Service, Hive South Yorkshire, Vicky Morris and Arts Council England. First Youth Word Up in Sheffield Star.